On the bottom left of the screen verify the Year. Your school principal will determine whether to post 1st period absences based on your homeroom roster or your first period class roster. Select the Course. At this point select 1st period no matter which roster you will use for posting 1st period absences. A class roster for the selected course will appear on the screen. Click the Attendance icon at the top of the screen. The screen will change to the posting attendance screen and the roster of students will be the same class roster from Gradebook. If you are to use first period class roster, the screen display should be the list of your 1st period students. The course name in the upper right hand corner of the attendance posting screen should be same as the course name selected from Gradebook. If you are to use homeroom for posting 1st period attendance, click on the Homeroom button at the bottom of the window. The course name in the upper right hand corner of the attendance posting screen MUST be Homeroom. Locate the column labeled 1ST. To mark a student absent, click in the first blue cell to the right of the student's name in the 1ST column. After clicking the first blue cell by the student's name, the start time of school and the default absence code and reason will appear in the Out column. Continue marking students that are absent. Click the red Sign off Roll Call button at the top of the screen. Enter the number of students eating in the cafeteria and click Ok. This count can be broken down to the number eating in the cold, hot, salad lines. (VPSB doesn’t do lunch count). 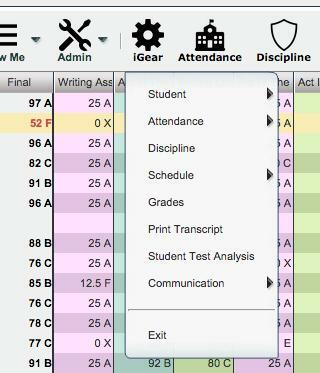 Close the posting attendance window to return to Gradebook. For the Course and Marking Period previously chosen, click on the button Assignments. In the menu that appears click on New. The Assignment Editor will appear. Type in a unique Assignment Title for the assignment/lesson. If using Categories, select the appropriate category. If the user only has one category, then the assignment editor will default to that category. If your district requires categories to be used in this subject, there is a indicator in the Master Schedule Editor reflecting this requirement. The presence of this indicator will give a popup warning that the user will not be able to save the new assignment without selecting a category. Select the Curriculum Unit that the assignment is associated with then click ok. Select the Curriculum Topic then click ok. Select the Curriculum GLE’s then click ok or click Append to Objectives if creating a lesson plan. If the assignment being created is a test on the unit selected from the Comprehensive Curriculum, check the box labeled Designated Unit Test. Click in the Core Standards field and a list of Content Areas (English Language Arts, Mathematics, Science, Social Studies) will appear on the left of the screen. At this time there are standards only for English Language Arts and Mathematics. Science and Social Studies will be added as they become available. At the bottom left of the screen will be a grade level. The default value will be the grade level of the course. The set of standards to be displayed will be based on this value. The grade level can be changed by clicking on the drop down arrow. Each Content Area is further divided into one or more Domains. Each Domain has one or more Clusters. After selecting a Cluster, the standards will be listed on the right side of the screen with a light brown background color. To select a standard, click the green plus sign at the top left corner of the standard. The background color will change to a blue background and the green plus sign will change to a red X. The selected standard(s) will appear at the bottom of the screen. To unselect a standard, click the red X. The background color will return to the original light brown and the red X will be replaced with the original green plus sign. To save the selected standards, click the Submit button at the bottom right of the window. The standards selection window goes away. The Assignment window will be on the screen with the selected standards listed in the Core Standards field. Do No Show In Gradebook - This option is available in both Gradebook and Lesson Book. Check the box if the assignment is only a lesson plan and needs to not show in the gradebook. Uncheck this box if the assignment needs to show in the gradebook. If using Numerical Grade, SNU Numeric Grade, OSN Numeric Grade, or OSNU Numeric Grade enter the Maximum Point value for the assignment. If this is a Bonus point assignment, enter 0 for the point value. If using Letter Grade, SNU Letter Grade, OSN Letter Grade, or OSNU Letter Grade a maximum point value cannot be entered. If using Numerical Grade, SNU Numeric Grade, OSN Numeric Grade, or OSNU Numeric Grade, enter the points possible for Bonus points if desired. If using Letter Grade, SNU Letter Grade, OSN Letter Grade, or OSNU Letter Gradebonus points cannot be entered. For the Date Taught From, select the date the assignment was first taught. For the Date Taught To, select the last date the assignment was taught. For the Due Date, select the date the assignment is due to be turned into the teacher. If entering a lesson plan, enter the prior required knowledge for the assignment in the Prerequisite(s) field. The box below the “Prerequisite(s)” field is the “Objective(s)” field. If GLE’s were selected and appended to objectives, GLE’s will be seen in this area. To add to this area, click in the text box or click the “Objective(s)” button. 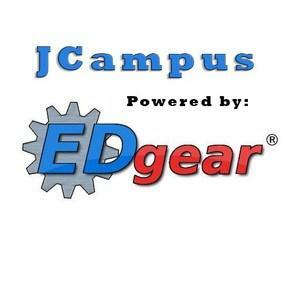 To enter lesson plan information, click on the “Lesson Plan” button. Enter text in the text box that appears. To enter modifications for a special education student, select the “Modification(s)” tab. Click the “Return” button when finished entering information. Click the “Instructional” button to enter the instructional methods for the lesson plan. Click the “Eval/Assess” button to enter the evaluation and assessment methods for the lesson plan. Click Save to complete creating the assignment/lesson. Click Copy to copy this assignment/lesson plan to other sections. After clicking Copy select the sections that the assignment/lesson plan needs to be copied to. After creating an assignment, click on Attach (paper clip symbol) to attach a file. Then choose "Add", click on the file to include and then click on "Choose". The file is now attached.